The couple at Shalimar drinking wine. In that old video from 1930s watching the angrez couple drink wine at Shalimar Bagh reminded me of an innocuous entry in the journal of an angrez traveler. "The colonel occasionally took a little of the strong spirit of the country, which is distilled from crushed grapes left to ferment, and is much preferred to the finest wine that Europe could produce, which would not be considered strong enough. The orientals have no idea of drinking unless they can drink a little too much. They believe, to the letter, that " man, being reasonable, must get drunk;” and, generally speaking, are astonished at Europeans, who, being permitted by our religion even to drink wine, do not always swallow more than is good for us, and can afford to leave off before it has caused us to be excited and uproarious." From Ruzlu I ascended the hill on the right, in order to obtain a view of another valley, named Brunil-Lanur. It occupies the remainder of the space between Kol Naruwa and Chaugam, and contains the two villages from which it takes its name. In the jungle under the Panjal, which bounds it on the south, and, I believe, in many of the wooded eminences around it, the vine is to be seen hanging in festoons about the trees, — originally, perhaps, a wild plant, but afterwards nurtured and cultivated by the natives of the district, who formerly made wine there in great quantities. At Muskhahad, a place in the jungle lying equidistant from Deosir and the villages in the valley, a great number of very large forty-thief-power earthen jars have been dug up at different times, and are now used by the natives as receptacles for their grain ; and it is supposed that many more are buried there, they being discoverable only by a search beneath the surface of the ground ; and it is supposed that wine was buried preserved in them, as in Gilghit and the neighbouring countries, probably at the present day. It is singular that the word mus should have the same meaning as the English must (mustum) new wine : and khahad signifies a place where wine is made and deposited. I could never learn satisfactorily why the spot was deserted as it is at present ; but it is more than probable that it fell into disuse after the Musalman invasion, and suffered under the enthusiastic bigotry of Sikundur But-Shikan. Abu Fuzl, however, relates that wine was drank in Kashmir in his time. But I heard that its locality had been remembered only in tradition, or at least that the existence of the large wine-vessels was unknown until they were discovered by accident in the time of the Patans, about fifty years ago ; and the finder was suspected of having concealed a treasure. Wine, however, was made there in the time of the Patans, and Mihan Singh, the present governor of Kashmir, had ordered all the grapes to be brought thence to the city, where he contrived to manufacture a wretched apology for the generous liquor. An ancient 'wine'village near Pir Panjal, probation era, buried and forgotten wine tresure - I thought this was the end of Kashmiri Sharab, the last anyone heard about it (especially after that bad review by Vigne), or may hear about Shorab only in Kashmiri folk songs, but it seems that in next half-a-century wine culture picked up speed and flourished in Kashmir. 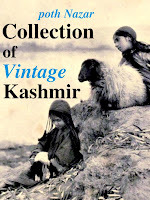 A window into this time is offered by a woman named Marion Doughty who visited Kashmir in 1900. 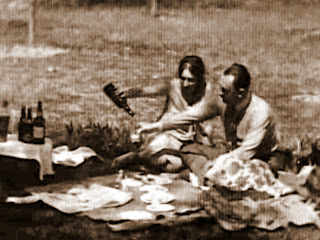 In her book 'Afoot through the Kashmir valleys' (1901) she wrote, "The Kashmir wines, too, are no longer to be despised, and their Medoc and Barsac are both strengthening and pleasant to the taste." 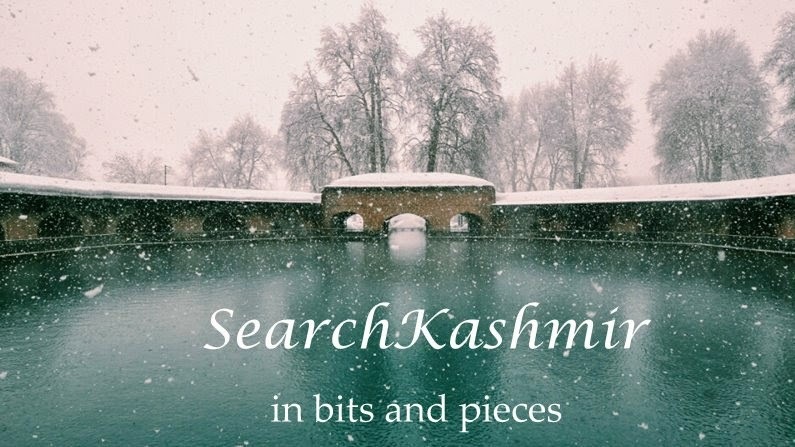 In olden times Kashmir had been famous for its grapes, but through laziness, or the exorbitant exactions of officials, they had fallen out of cultivation, and only the wild plant was seen clambering over fences or throwing graceful arms round the tall poplars. Then the late Maharajah, the good Ranbir Singh, wishing to assist his people by every means in his power, introduced vines from France, and for a time they did fairly well; but the dreaded phylloxera made its appearance, and new vines from America had to be introduced. At present the State vineyards are under the charge of some Italian gentlemen, and very well they fulfil their charge, and yearly large quantities of Barsac and Medoc, as well as apple brandy, are produced, and though the flavour is still a little rough, they are good strengthening wines, and at the rate of about one rupee for a quart bottle will create a large demand. Transport is the chief difficulty, for under present conditions of road traffic it does not pay to send them out of the valley scarcely even any distance from Srinagar. The government of the time was actively pursuing for the idea of wine, or rather a few persons in the government indeed were. According to Lawrence, Raja Amar Singh and Diwan Amar Nath were among the small number of Vineyard owners of Kashmir. Important decisions like the kind of vine to be imported were not taken carefully. Lawrence suggests vine from Burgundy would have been better suited for Kashmir. Still wine making was slowly making progress in the state. Costly distillery plants were setup at Gupkar and Medoc and Barsac wine was made here. Doughty adds, "In other parts, where there is sufficient open ground, vines are much grown, and they climb the tall poplars and mulberries, sending long, swinging trails from side to side, forming exquisite screens of greenery. Hops, too, grow here, and the factories are close by in which the raw produce is transferred into excellent liquids, beer, wines, and liqueurs (cherry and apple brandy)." But the idea was not taken up by the locals, and Lawrence thought, given this fact and the fact that beside Srinagar there was no market as transportation was a serious issue, there was little future for wine in Kashmir. "In the near future probably the most paying concerns in Srinagar will be the vineyards and hop gardens. The French vines, originally introduced during Ranbir Singh's reign, did not prove a success, phylloxera being the chief enemy. Others were then brought from America, and, judging by the quality of the wine produced, in spite of the youth of the plantation, and the low price at which they can afford to sell, it should be a great success. Apple brandy is especially in demand, and is a very delectable beverage among the snows. It is difficult, indeed, not to regret its popularity among the natives, for if they understand moderation in such things, they certainly do not practise it. The hops have been an even greater success than the vines, and are largely grown round Soper, and if once the country people take up their cultivation it will become a very important and money-making concern." So when exactly did this future cease to exisit? 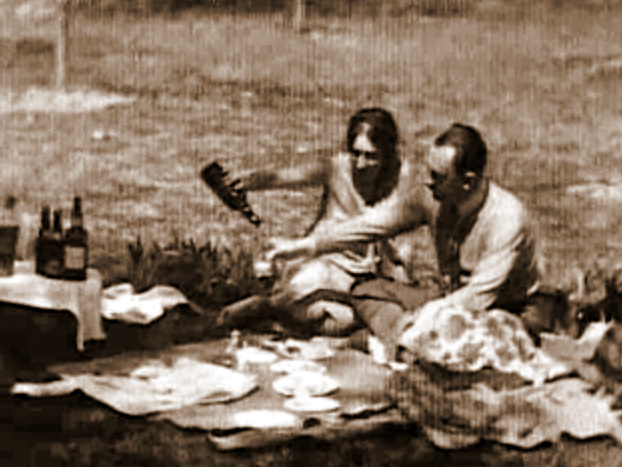 And in that video from 1930 was that American couple sitting in Shalimar Garden tasting Kashmiri wine? and place it in large earthen jars, which are then buried for a time ; but they do not understand the clarifying process. Some that I tasted was very-palatable, but looked more like mutton broth than wine. the parties have drunk deeply of wine, and they are then excited to such a pitch of frenzy, that the effect is almost that of real madness, and it is a service of some danger to approach them. The Yarkundis drink wine in abundance, but more particularly in secret. A spirit is distilled from the fruit of the Sunjit. The wine of Shiraz is made, I believe, about fifty miles west of the city. The best that I tasted was a fine, powerful, and dry wine, not quite so dark as brown sherry. **Francis Younghusband, who was Regent of Kashmir for some time, in around 1906 wrote about a Vineyard near Dal Lake that was run by a Frenchman. + 'seh-aatisha' identified by a kind reader. derived from water or barley; but it is curious that the Kashmiri namee for barley is wiska." mountains. The grape season is quite over, so there was nothing to be seen of the wine-making; we went through the cellars, and Robert and the others tasted various clarets, brandies, and sparkling wines. Their praise seemed to me rather faint, but most of the wines are perhaps too new to be fairly criticised. There is a huge still at work, and they make brandy from pears, apples, mulberries, and apricots." Vinayak this is pretty much impressive. I was wondering if you can add on mre details regarding to terrior like soil,grape variety,atmosphere.